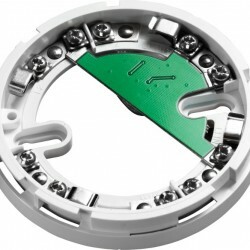 AlarmSense Optical Detectors work on the light scatter principle. 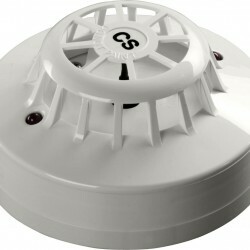 They change to the alarm state a preset threshold of smoke penetration into the sensing chamber. Heat Detectors are classified according to the requirements of EN54, part 5. 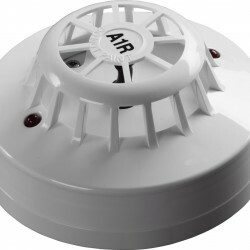 The AlarmSense range includes one rate-of-rise heat detector and one static (fixed temperature) detector. 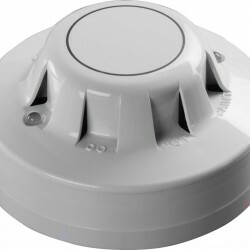 AlarmSense detectors may be mounted only into AlarmSense bases. These bases are fitted with electronic circuitry to monitor the presence of detectors and allow a fault to be signalled if a detector is removed without authorisation.